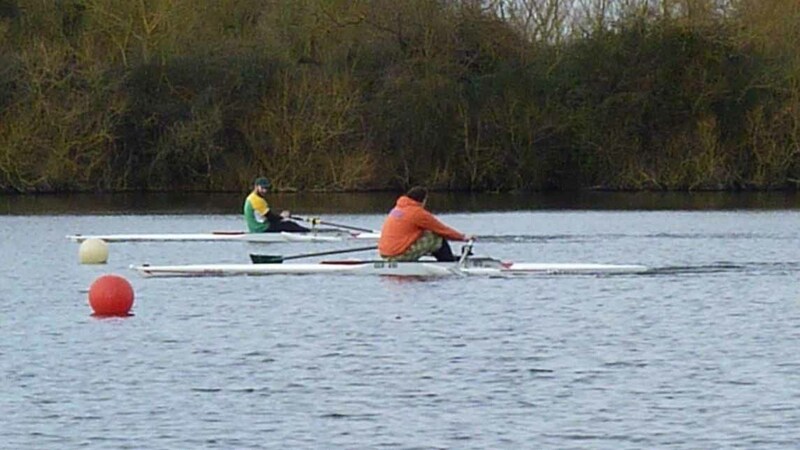 Guildford Rowing Club (RC), already a key driver of increasing participation in adaptive rowing, took it to the next level by creating a new racing opportunity for adaptive rowers. Early in April, Heron Lake, home of the British Disabled Water Ski and Wakeboard Association (BDWSWA), played host to 14 competitors from the local area, with varying disabilities from physical to learning. All of the clubs attending pooled their equipment to allow different disabilities to be easily catered for, in either single or double sculls. Racing over the 460 metre course kicked off at 10 am with time trials taking place on flat, calm waters providing an idyllic setting for those first-time racers. After completing the 460 metre course twice, crews were then ranked to be matched accordingly for side-by-side racing in the afternoon. Once rowers were matched as similarly as possible, a staggered start was then applied. This resulted in some seriously close racing! Not knowing if the second boat would catch the first boat before the line made for very exciting racing for the spectators and coaches. For any coach sending your rowers out for their first competitive experience is daunting, and even more so for the competitors who had only rowed on comparatively narrow calm rivers with their coach right alongside them. In contrast, suddenly the rowers were on a very wide open piece of water and in total command of their own boats. The competitors were completely competent and the thorough safety briefing at the beginning of the day set the event up to be fun and safe for all. “Lessons have been learnt and we will take this into the next event to make it even better. Now we have trialled it, we are confident it can work across many events around the country and we can cater for at least double the number of competitors we had here today” added Danny Skillman Guildford Rowing Club. This event has enabled a database to be developed with relative rankings so close racing can be guaranteed whatever the disability, a similar format to the ranking index for the competition review. Special thanks goes to the BDWSWA for supplying the venue and to Land and Water, a specialist civil engineering contractor who supplied a pontoon free of charge, which provided great access for boating. The initiative was ably led by Guy Williams, Deputy Chair of Guildford RC Adaptive Committee and Chair of the BDWSWA and clubs in attendance were Lea RC, Marlow RC and Guildford RC.